Remember when I said I’d write every day? So do I, and I’m sorry to say that I’ve made that promise many times before, each time eventually failing to keep the blog going after a couple of posts. A week alter, I’ve realized that to accomplish my goal, I must keep writing, regardless of my mood. 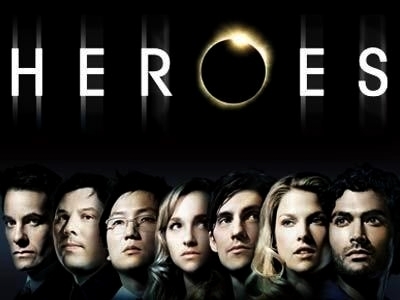 I just finished watching my 34th episode of Heroes in the past two weeks or so. I bought the second season on DVD yesterday, and just finished it tonight. I guess that’s what happens when you lack the kind of social life that involves you having plans in the middle of the week. What can I say, I was bored, and watching an episode of Heroes is like eating a Baked Lay. Betcha’ can’t watch just one. Through the show’s critically acclaimed two seasons, (it’s already won 15 awards,) a group of ordinary people with extraordinary abilities (one of the tag lines,) have come to find each other. Many are related, many are good looking, and some are even evil. I’m not going to get into too much plot details just yet because I don’t want to spoil it for newcomers, but if you have never watched the show, you must start now. There are 23 first season episodes, and 11 from the second season. Season three starts Monday, September 22nd, so that gives you about 26 days to watch 34 episodes. There is nothing more excited than theorizing about people and events form this show, but ti’s hard to say too much without giving anything away. Anyways, I strongly encourage you to get into the show if you haven’t already, because you’re missing out. One warning though; after a couple of episodes, this show will consume your soul and not let you off until you’ve seen it all. PS. The show is also filled with extremely good looking women, including Hayden Panettiere, Kristen Bell, and Ali Larter. So watching the show is nice on the eyes too. This entry was posted on August 28, 2008 at 1:24 am and is filed under TV. You can follow any responses to this entry through the RSS 2.0 feed. You can leave a response, or trackback from your own site.